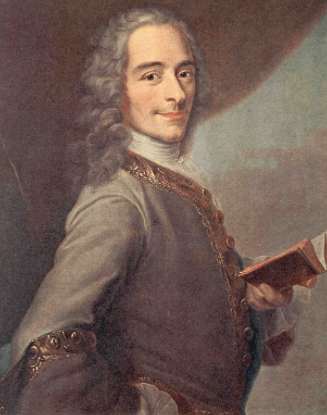 The extraordinarily prolific and witty French writer-and-philosopher Voltaire — whose real name was François-Marie Arouet — drank up to 100 cups of coffee a day! 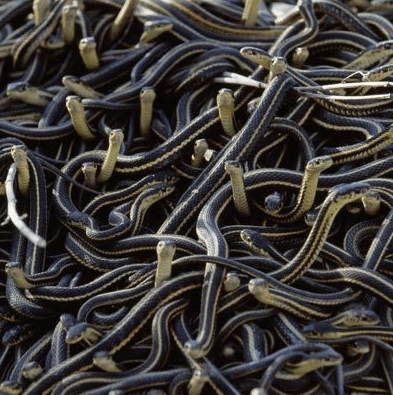 Voltaire called coffee “the bucket of black snakes” and said it was the closest thing he had to a religion. He did most of his imbibing at the Café de Procope, in Paris. “Whenever a reasonable human dose failed to stimulate, Balzac would begin eating coffee powder on an empty stomach, ‘a horrible, rather brutal method,’ said Balzac, ‘[which belonged] only to men of excessive vigor, men with thick black hair and skin covered with liver spots, men with big square hands and legs shaped like bowling pins'” (source). Just incidentally, if you’re interested in Voltaire and if you’re looking for an entertaining summer read, you might try Voltaire in Love, by the erudite Nancy Mitford. This book was written in the 1950’s, in London, and is breathtakingly articulate and fascinating. I’m a major procrastinator, which came in real handy while trying to get through college, so I’d leave papers and studying for the night before. My fuel was a full carafe of brewed espresso along with a pound of chocolate-covered espresso beans. How my gut survived is beyond me. Tiffany, what a pleasant surprise to see you here! Thank you for your coffee-fueled comment, and thank you for dropping by. I’d follow your blog, but I can’t for the life of me figure out how to do that. And, yes, I have had my coffee, and yet, am still completely clueless. Unless I install a widget, I’m not sure there’s a one-click way, as there is with wordpress.com. As for being “completely clueless,” as you say, I was born that way.